THE CLIFFS Interpretation Centre is continuously devising innovative ways of incorporating education within the daily food that is served. The revival of past traditions or those that are in the verge of extinction is made possible throughout the year. The use of the local wild and semi-wild produce depends on the season. 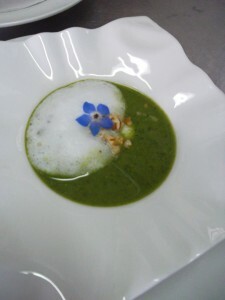 While Borage flowers (Fidloqqom) are served with the freshly prepared food from October through March, a number of other plants have a limited flowering season or certain fruits are ripe throughout a certain period of the year. January – February: The Stinging Nettle (Hurrieq) is usually known for its stinging properties, but when its leaves are boiled, the stinging chemicals are removed. Nettles soup or wilted nettles, offered at THE CLIFFS centre in the beginning of the year are rich in vitamins, nutrients and also very flavourful. March-April: The bramble bush of the indigenous Wild Asparagus (Spragg Xewwieki) has tender shoots during the early parts of the year, which are edible. 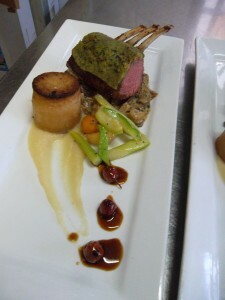 Wild asparagus served with rack of lamb. April-May: The Loquat (Naspli) is the first fruit of the year, which ripens between April and May. It is served with food offered at THE CLIFFS, and also as jam. June: Capers (Kappar) from the garrigue at the cliffs and local fresh or sun dried cheeselets (Gbejniet) are served at the centre. 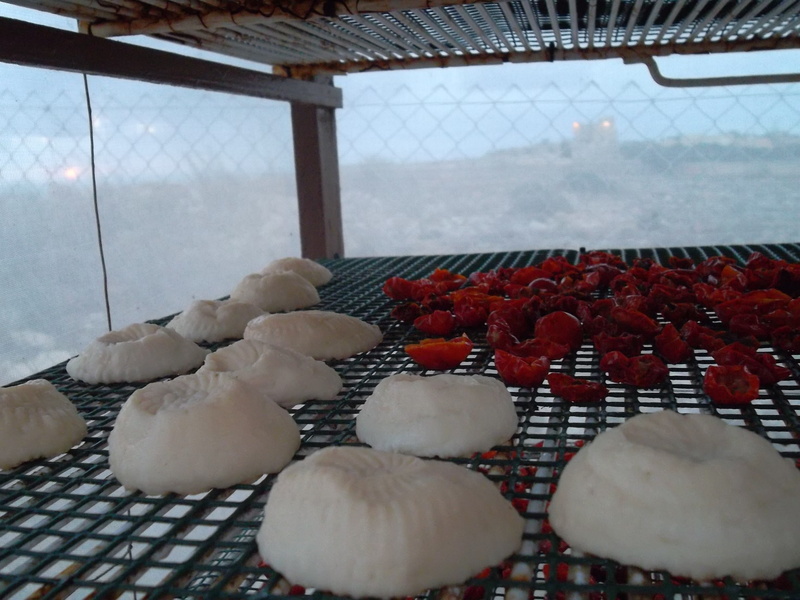 July: Tomatoes are dried at the ‘Qannic’ housed within THE CLIFFS Interpretation centre. 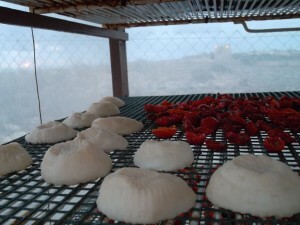 The ‘qannic’, which has no english translation, is a traditional ventilated meshed box, which allows the drying of products by air, while protecting against mosquitoes and other insects. August: Carob syrup (Gulepp tal-Harrub) is served with numerous food items. The syrup has been traditionally used in the Maltese Islands as a natural cough treatment. Other summer fruits served at THE CLIFFS include the Prickly pear (Bajtar tax-Xewk) and Grapes (Gheneb). September-October: Threads of the Saffron (Zaghfran) spice and seeds of the Wild Fennel (Buzbiez) are collected, dried and served with seasonal menu specials. The Pomegranate fruit (Rummien) often accompanies risotto side dishes or is served as a garnish with game (duck, venison). October-November: Quince (Sfargel) grows wild in the maquis communities at the cliffs. Since the fruit is very acidic and unpalatable, it is processed into chutneys and usually accompanies cheese platters served at THE CLIFFS centre. November-December: The sweet fruity taste of the Azalore (Ghanzalor), which is native to the Mediterranean region, can be appreciated when served as a garnish to duck or lamb dishes, for example. Wild Mushrooms (Faqqiegh Salvagg) is also incorporated as a cooked side dish along with the special seasonal menu.